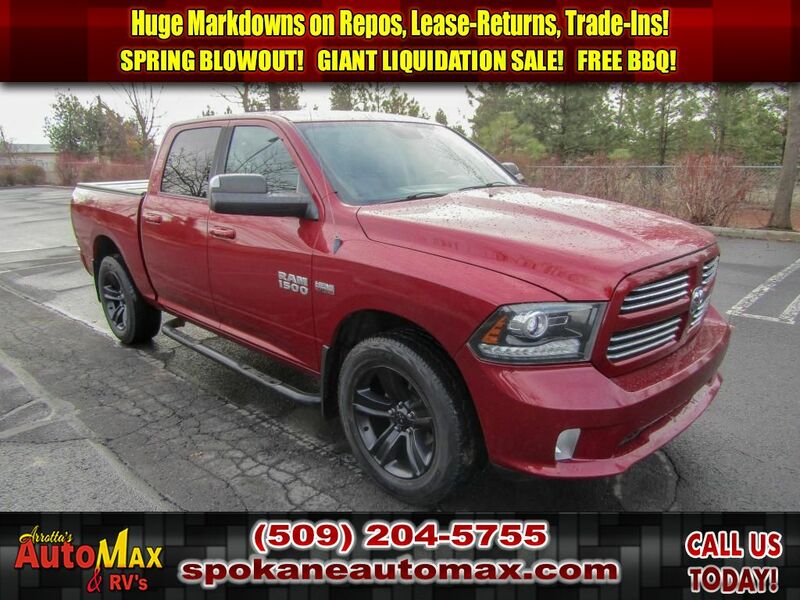 This 2013 RAM 1500 SPORT 5.7L V8 4X4 PICKUP TRUCK has a track record of being very tough and durable. This model is a versatile vehicle. This vehicle has durability you can depend on as the miles tick away. This unit comes standard with numerous top of the line safety features. 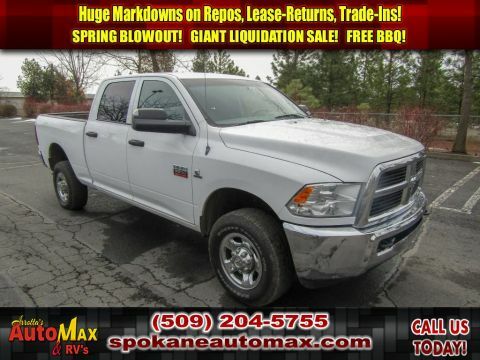 This 2013 Ram 1500 has dependability you can trust. It is roomy and has a smooth ride. It is fully loaded with all equipment options. The 1500 is an amazing performer and is sure to turn heads where you go. The performance-tuned suspension of the 1500 handles great on all turns. Enjoy your driving more! This is one of the most exciting vehicles to drive in its class. With these performance numbers you wont be disappointed when you take it for a test drive. Be the first off the line with the quickness of this Ram 1500. The vehicle handles exceptionally well in the snow and ice. This unit has a 5.7 liter 8 Cylinder Engine high output engine. It has an automatic transmission. This Ram 1500 has four wheel drive capabilities. Enjoy the tried and true gasoline engine in this Ram 1500. The vehicle gleams with a flashy red exterior. Anti-lock brakes are standard on it. This 2013 Ram 1500 has air conditioning that feels like a walk-in refrigerator. The 1500 is accented with premium quality alloy wheels. Bring all your music with you along for the ride in this 2013 Ram 1500 with its mp3 player aux input jack. Protect this vehicle from unwanted accidents with a cutting edge backup camera system. The bed looks great and is protected with a durable surface material. Easily set your speed in this vehicle with a state of the art cruise control system. Increase or decrease velocity with the touch of a button. Electronic Stability Control is one of many advanced safety features on the 1500. The fog lights cut through the weather so you can see what's ahead. This Ram 1500 has front airbags that will protect you and your passenger in the event of an accident. Stay safe with additional front side curtain airbags. Bluetooth technology is built into this unit, keeping your hands on the steering wheel and your focus on the road. 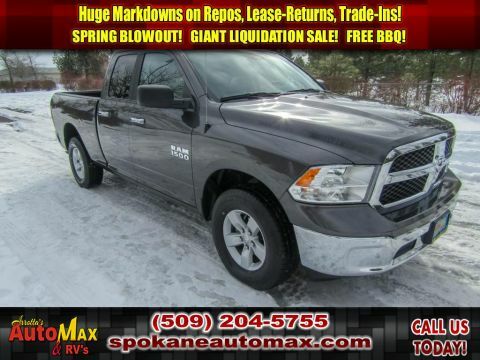 Enjoy the heated seats in this 2013 Ram 1500 you will never buy a vehicle without them. Everyone loves the comfort of having a warm seat on those cold winter days. Quickly unlock this Ram 1500 with keyless entry. The leather seats in this Ram 1500 are a must for buyers looking for comfort, durability, and style. Help alleviate lower back pain with the driver seat lumbar support in the vehicle. 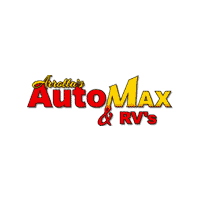 An off-road package is installed on this vehicle so you are ready for your four-wheeling best. This Ram 1500 comes with power adjustable seat to get your seat just right for you. Power seats are a must! 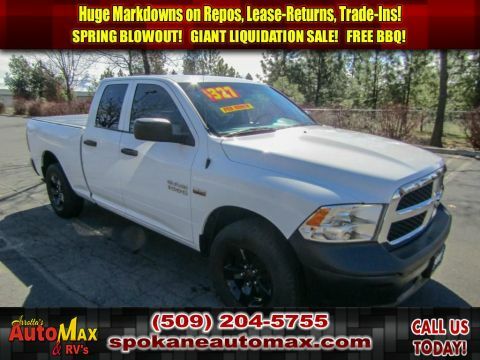 This 2013 Ram 1500 has convenient power windows. This unit has a premium sound system installed. The premium wheels make this unit stand out from the crowd. The state of the art park assist system will guide you easily into any spot. The 1500 comes with running boards already installed. The satellite radio system in the 1500 gives you access to hundreds of nationwide radio stations with a clear digital signal. The 1500 features steering wheel audio controls. This 1/2 ton pickup features a tilt steering wheel. This 1/2 ton pickup features tinted windows. This model is equipped with a heavy-duty towing package. Track your miles and travel time in this unit with the trip computer. with XM/Sirus Satellite Radio you are no longer restricted by poor quality local radio stations while driving this Ram 1500. Anywhere on the planet, you will have hundreds of digital stations to choose from. It is a rare vehicle and is hard to find.